We debated whether this could actually be called a recipe as it is so simple; it’s more of an assembly job. Cook the linguine following the instructions on the pack and add your greens for the last 3 minutes. Heat a little olive oil in a small frying pan and gently fry the garlic and chilli until soft. Add the prawns and stir around until they are pink and then season well. 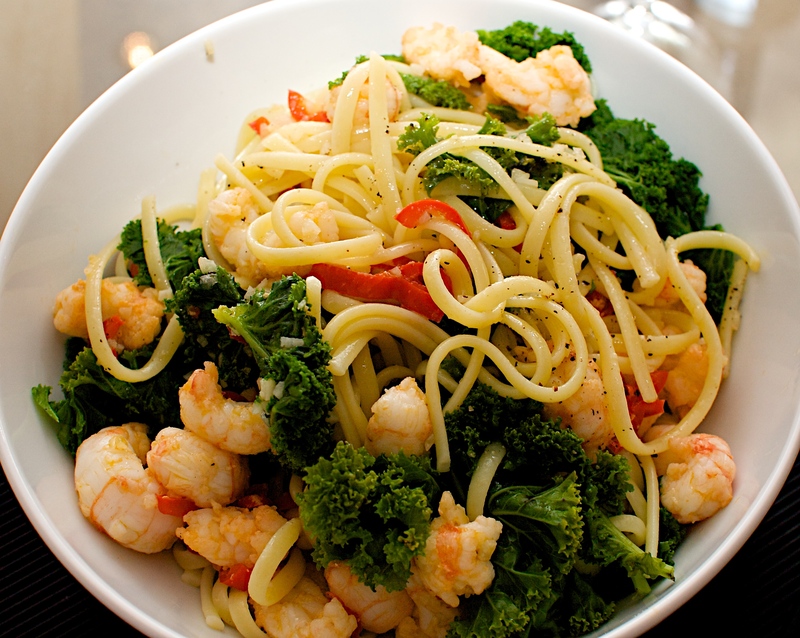 Put the linguine and greens in some bowls and serve the prawns etc over the top. Drizzle a bit of oil over and you’re done. Wine suggestion: something light and white and a little aromatic like a Cote de Gascogne. We had a Marsanne/Viognier blend from the Languedoc which was also good.